The Cinéma Opéra was built in 1922, and was designed by architect Émile Thion & Marcel Rousseau in an Art Nouveau style. It was a single screen cinema with seating for 1,500 in orchestra & balcony levels. The rue Thillois façade has been inscribed since 1981 in the Supplementary Inventory of Historic Monuments. 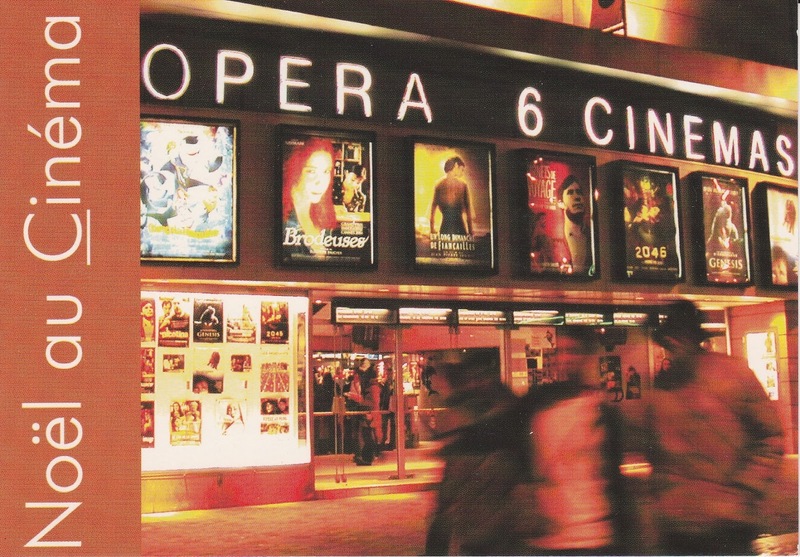 In 1981 Cinéma Opéra was subdivided into six halls with total of 1366 seats. The entrance - showing at the postcard - has been reversed to the rear of the building at 3 rue Théodor Dubois, using the former stage as a foyer. At wikipedia is written: The current cinema is destined for partial demolition with preservation of the listed facade to move, in 2018, the place Drouet Erlon, to create a larger and more modern multiplex of 11 rooms and 1600 seats. The Théodore Dubois building will be replaced by an apartment building. The postcard is an ad card for the movies on last days of 2004, among them The Incredibles. The photo from the cinema is taken in autumn 2004. You can see posters from Brodeuses, Un long dimanche de fiançailles, 2046, Genesis. Merci, Aldo, pour la carte postale!